The El Conquistador Golf Club is now part to the Oro Valley Community Center. The Town of Oro Valley purchased the golf courses and facilities in December 2014. The Oro Valley Community Center offers golf, tennis, swimming and fitness facility. In addition to these amenities, the Overlook restaurant is open in the main facility. 45 holes of golf are available. Both the Canada course and Conquistador courses remain in operation the year round. These are 18 hole venues. Canada Course – The Canada Course measures over 6,800 yards from the Championship tees. Forward tees are at 5,000 yards. Tight desert-lined fairways and undulating greens make for a fantastic playing experience. Conquistador Course – The Conquistador Course measures 6,801 yards from the Championship tees. Forward tees are at 4,821 yards. Both courses have the Santa Catalina Mountains as a backdrop for every shot. Each course winds its way through the various Oro Valley neighborhoods and communities. If you are an avid golfer, this is a great place to live and play. Homes have great views and the first tee is minutes away. The 9 hole Pusch Ridge Course in open for the winter season, but closed in the summer. Located at the Hotel this course is a 9 hole executive course a short walk from the resort. For those not into golf, there is still a lot of sports to take advantage of. The Community Center has 31 USTA awarded tennis courts. Lessons are available from certified instructors. And there are tournaments scheduled to test your skills and competitive spirit. There is a fitness facility, 4 pickleball courts, 2 racquetball courts, and pools. The Oro Valley Community Center is the place to particapate in the Oro Valley lifestyle. The El Conquistador Country Club is a few miles from the Hilton El Conquistador Resort. The resort is located in the center of Oro Valley. Considering A Home In Oro Valley, AZ? Are you thinking of buying a home in Oro Valley? Finding the right home can be a challenging process. But we can make the process much less stressful for you. Why? We want you to know what to expect. And what to plan for. We will show you the amenities Oro Valley has to offer including the Oro Valley Community Center. Thinking About Selling Your Home In Oro Valley, Arizona? 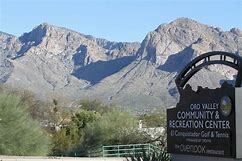 Oro Valley is a great place to live and play. Take a quick tour of the Town of Oro Valley and decide for yourself.